Lorry Wedding-Marchioro uses sculpture as a medium to explore ideas on consciousness and the nature of reality. As an artist I have enjoyed the opportunity to practice under many guises. As well as working as a production artist, supplying wholesale kiln formed glass to galleries throughout Australia, I have enjoyed a successful career as an exhibition artist, holding solo exhibitions and participating in group shows throughout Australia, Asia, United States and Germany. In recent years I have been using my visual arts practice as a conduit to understanding the deeper nature of reality. I am interested in the way people perceive the world around them and use the theories of quantum physics and consciousness studies to push the boundaries of perception. 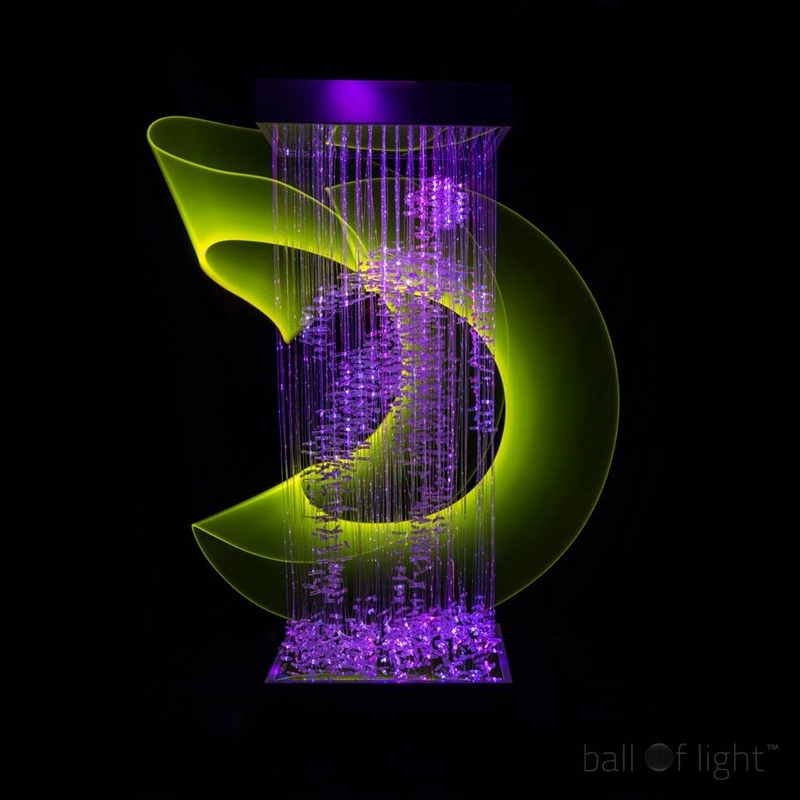 Fibre optical chandelier and Light painting in collaboration with Denis Smith. Fibre optics, LEDs, glass, mirror, steel, LED wand. - July 2017, commissioned by the City of Prospect to create a Public Artwork for their Arts in Parks project. - the work will be placed at the corner of Main North Road and Regency Road. - May 2015 - Frank Hilton Reserve has been announced the winner of the Excellence in design and/or construction of a public works environmental project or initiative which includes an Open space or Community facility ! - Feb 2015 - Selected to exhibit in KIGA lighting prize at Kirra Gallery, Victoria. -March 2014 -Selected to create a public artwork for the Frank Hilton Reserve, Onkaparinga Council, Adelaide. - New series of painted and kiln formed glass exhibited in "Narratives",at Kirra Gallery, Melbourne. -Quantum sculpture - "Trig Point Ascension" exhibited at Palmer Sculpture Biennial, 2014 outdoor sculpture festival.